Video Walk- learn the techniques used to manipulate time via video recording from your iphone, useful for video gait analysis and clinical interactions for social media promotion. Add energy to your videos by manipulating time. Bring drama to a moment by using "Slo-mo". Capture footage with time-lapse or hyperlapse. 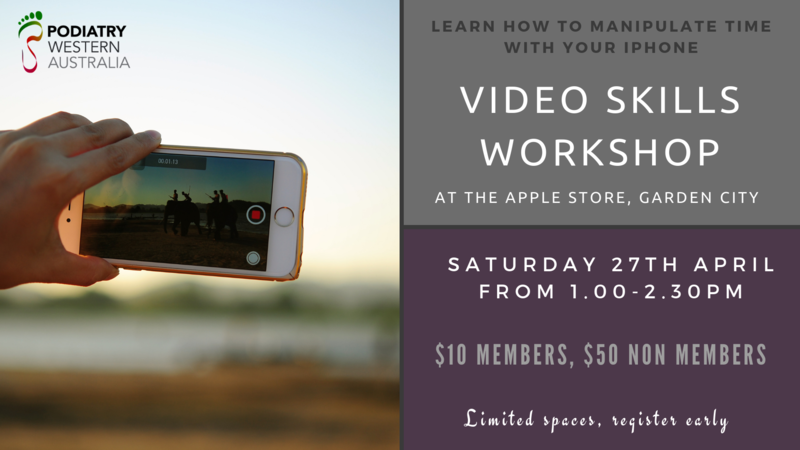 You’ll learn how to shoot and create these videos using your iPhone or ipad (ios12 minimum). Recommended for all skill levels. This event is held within the Apple store, during normal business hours.